Gary Warren has joined Yeovil Town. 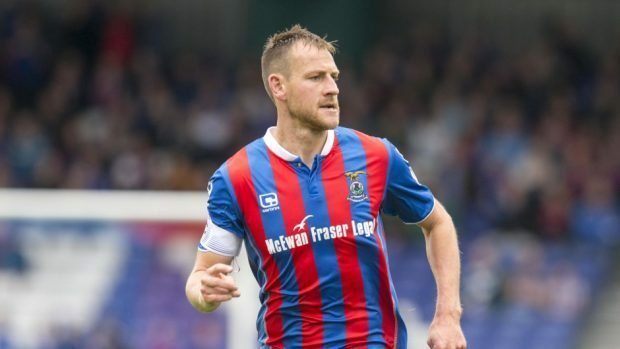 Former Caley Thistle skipper Gary Warren has completed a move to English League 2 side Yeovil Town on a two-year contract. Warren, 33, finalised his release from Inverness earlier this week after manager John Robertson had made him free to leave with 12 months still to run on his contract. The Bristol-born defender has now moved closer to his homeland after joining the Glovers on a deal until 2020. Warren, who joined Caley Jags from Newport County in 2012, made 218 appearances in six seasons for the Highlanders, and captained the side to the IRN-BRU Cup final victory over Dumbarton in March.